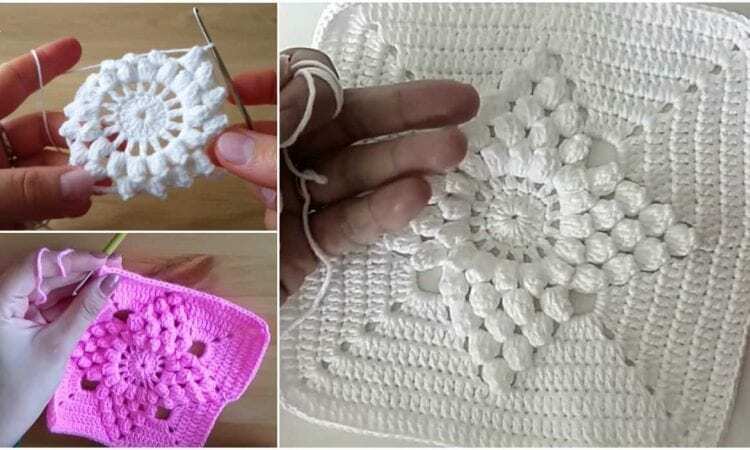 These beautiful popcorn stitch flower squares joined together will be perfect for a baby blanket or you can use one or a few as an eye-catching elements. The pattern is accompanied by precise photo explanations, enabling you to complete the project easily. As with most patterns you can modify the colour and experiment with combining these into many, varied projects. For more free designs every day follow us on Facebook. The Link to the pattern is below. Ratger have a Written pattern. No patience for Tutorials.